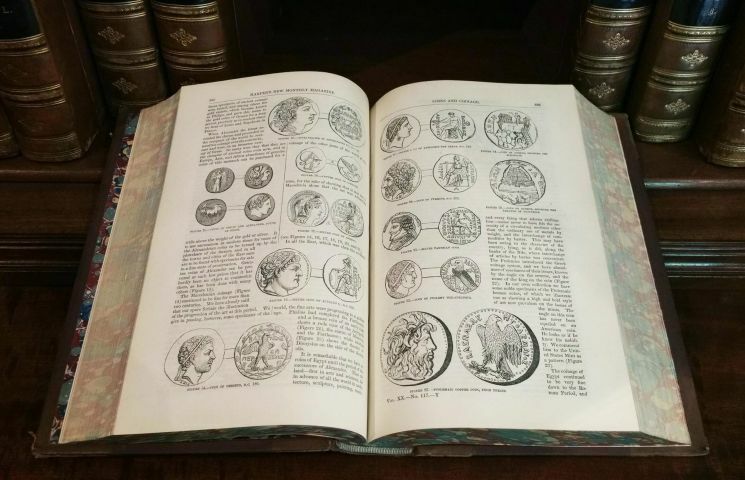 This superb and wonderful collection of very handsome leather-bound English books are a large and almost complete grouping of Harper�s New Monthly Magazine books, dating from 1850 thru 1880. This extensive set contains 53 books, in a warm rich caramel brown with red and black trim, with detailed gold leaf embossing. Out of the 60 volumes in the series, there are 52, along with a general index volume of the complete series. The missing volumes are 4, 6, 24, 34, 36, 49 and 59. 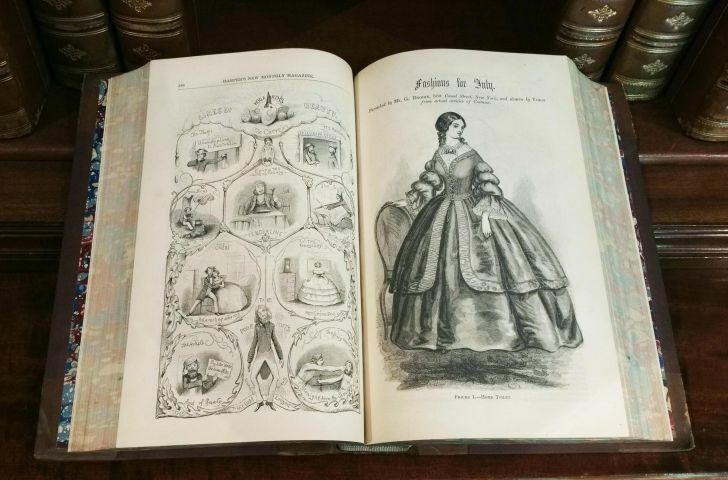 Aside from a few books that have minor scuffs and scratches, these books are all in very good condition for their age and would beautifully enhance any bookcase or library, showcasing a collection of 19th Century fashion, information and period history books. Volume 57 has water damage on the front and back cover but does not affect the binder for display or inside pages. 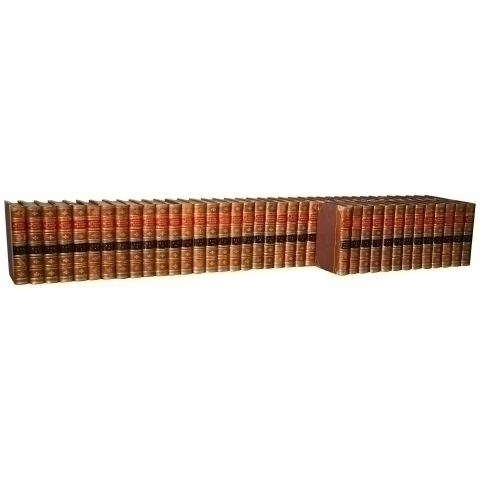 The books measure 92 1/8 in- 234 cm wide in total, with a book height of 9 5/8 in � 24.5 cm and a depth of 6 7/8 in � 17.5 cm. Please note, the books pictured are the actual books you will receive. We would be happy to supply additional photos upon request.